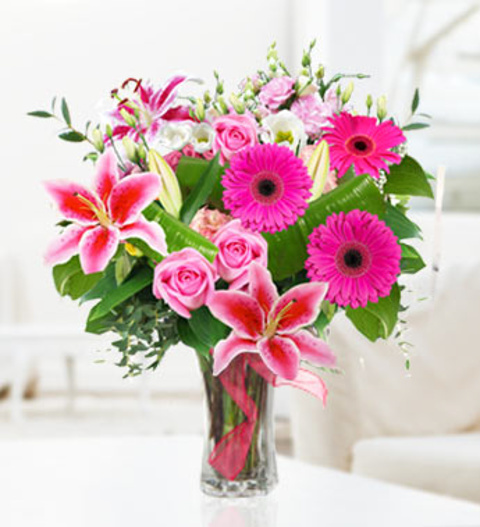 Pink Paradise is a beautiful arrangement with pink roses, striking stargazer lilies, gorgeous gerberas and lisianthus, hugged with forest fresh foliage. The arrangement is skilfully hand tied by our talented British Florists and is hand delivered direct to your recipient. Pink Paradise is a bouquet that is perfect for all occasions whether it be for an anniversary or birthday and is available for delivery today!